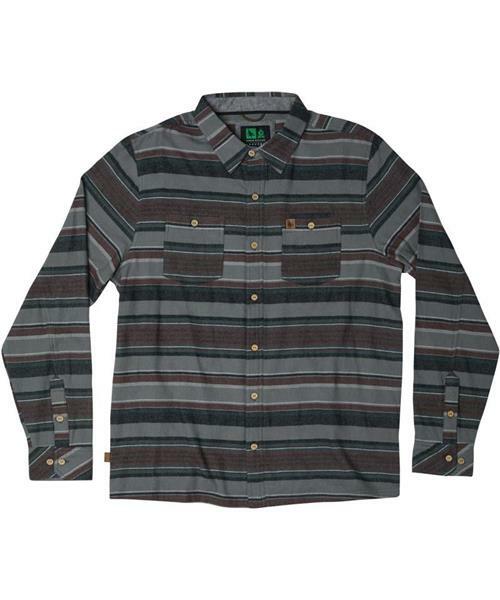 The Ashbury Flannel Longsleeve shirt with a horizontal stripe, a fresh take on flannel, rather than the standard plaid. Since the pattern is changed it allows for a wider use, you can wear it to a nice dinner with friends, or everyday occasions. Featuring chest pocket sand 100% cotton fabric, it is a classic flannel with a twist.